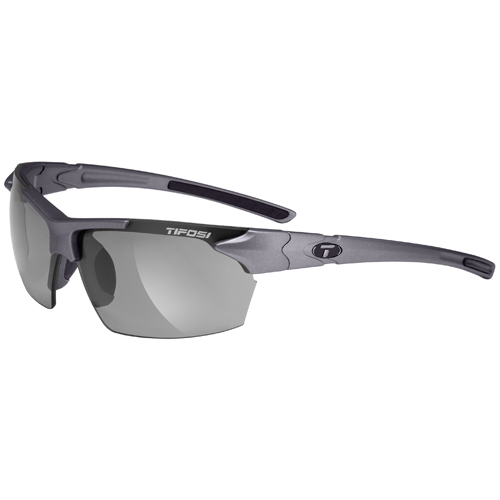 The Jet interchangeable sunglasses feature vented lense that improve air circulation and prevents fogging. Lenses are made from scratch resistant, shatterproof polycarbonate material that virtually eliminate distortion, give sharp peripheral vision, and offer full protection from harmful UVA/UVB rays, bugs, rocks, or whatever comes your way. Lens installation/removal is fast and easy. This versatile and comfortable sunglass are perfect for small to medium faces. The Tifosi Jet Smoke Polarized Fototec has many exciting features for users of all types. 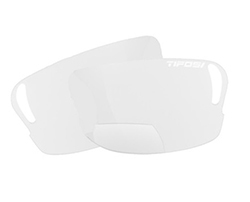 FactoryOutletStore stocks a full line of accessories like +1.5-Clear Jet Reader Len, +1.5-Smoke Jet Reader Len, and +2.0-Clear Jet Reader Len for the Tifosi Jet Smoke Polarized Fototec. 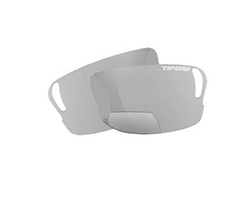 The Tifosi Jet Smoke Polarized Fototec is sold as a Brand New Unopened Item.